Hello and welcome to today's post ! 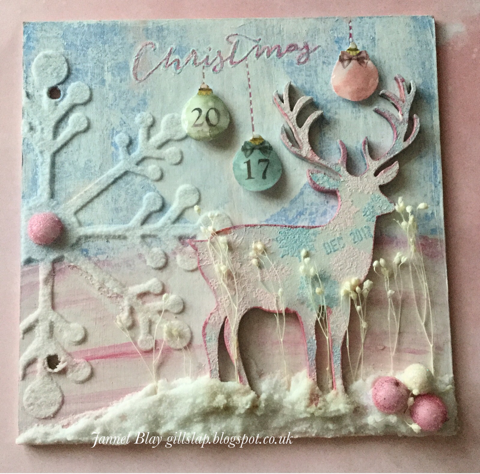 It's Sue here and today I'm sharing a look back over my crafty journey and a few of my favourite projects too. I have been crafting for more years than I can remember but the day it all started, when I wandered into the small craft shop in the village where I used to live, is still a vivid memory. 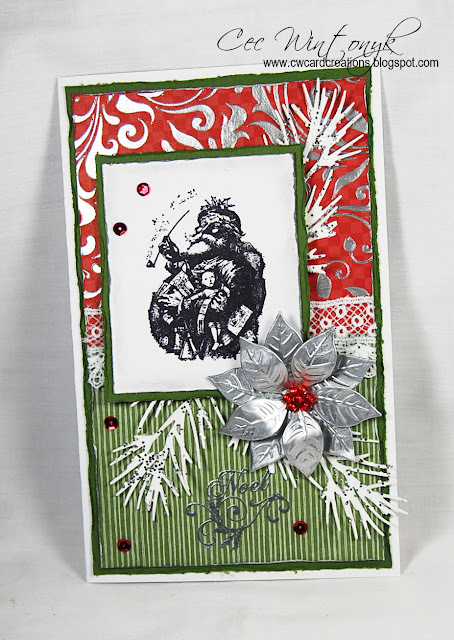 I wasn't really sure what I was looking at and ended up buying a pack of 5 Christmas cards to make myself. The response I got from the recipients set me to wondering what else I could do. 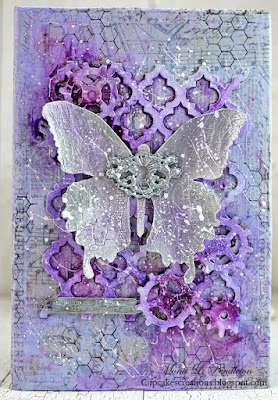 I attended a workshop in the shop not long after and was introduced to embossing powder, seeing it melt had me hooked ! My favourite technique has to be stencilling and all things associated with it. 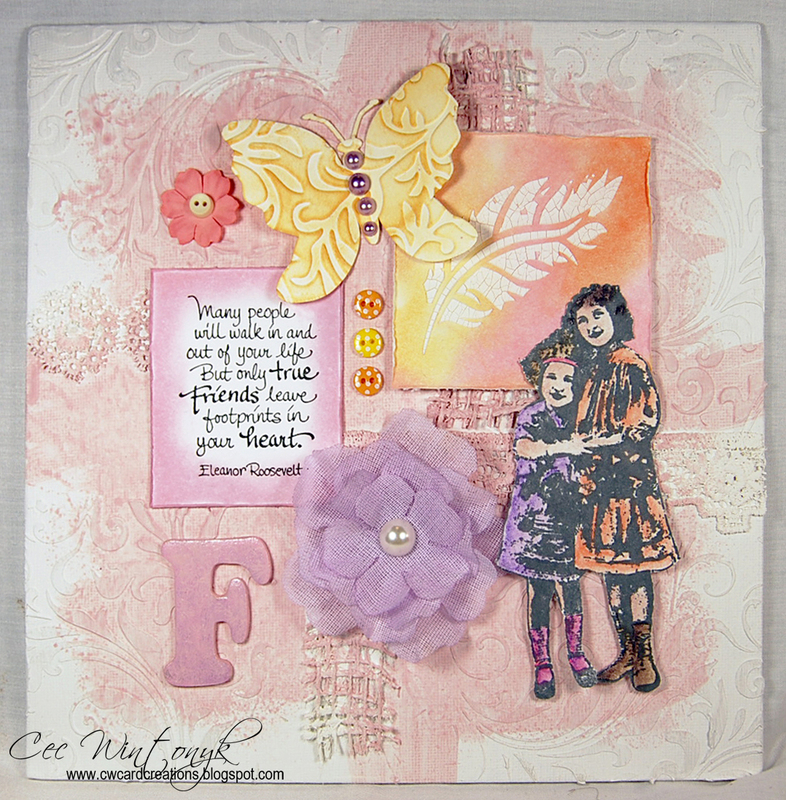 I love building layers and the depth and interest you can achieve just fascinates me. This led me to journalling, the blank pages are full of possibilities and it's also a place to experiment. 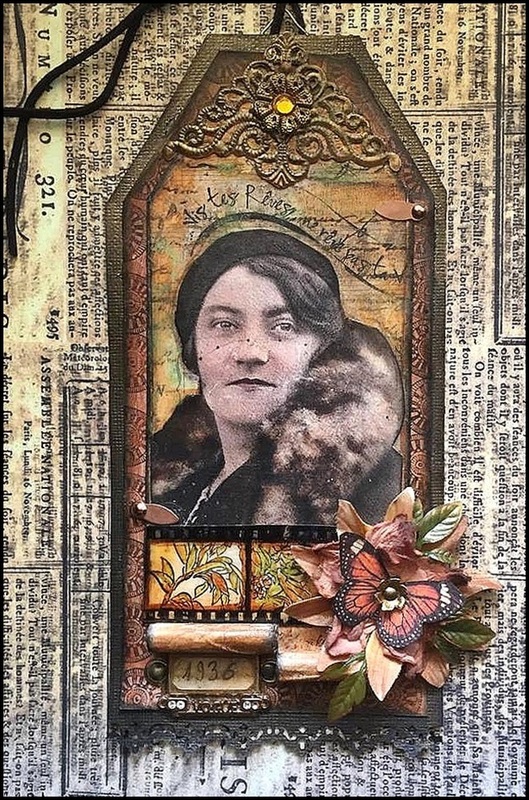 I've taken many classes both online and also face to face but if there was one person I would love to take a class with it would be Donna Downey. A few years ago I was very honoured to be invited to join the PaperArtsy blogging team and this was a real change in my crafting direction. 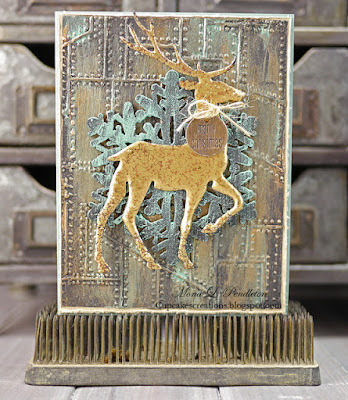 I discovered Freso Finish Chalk Paint and that changed my thinking completely. New craft products are always exciting but new techniques have always attracted me more and using the Fresco paints just opened a whole new world ! I still enjoy making the occasional card and the above was made as a sample for the launch of some Lynne Perrella stamps. 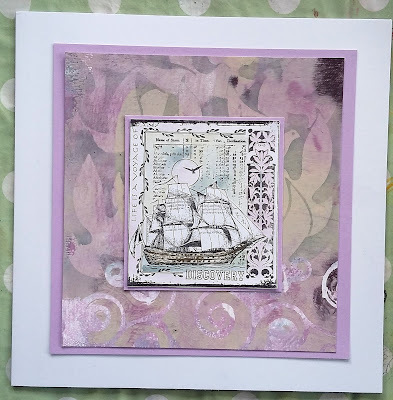 Being challenged to use different colours and stamps is always daunting but when the wheels start to turn and the ideas start to take shape it's always exciting. Inspiration can come from anywhere, but sometimes it's a case of being given the building blocks then taking what you've learnt and using it in your own way. I attended a fabulous class with Lin Brown a couple of years ago and rusting fabric was the technique we were working with. The above was a project that came together really quickly, rusting lots of fabric and including metal too which is another passion of mine. In recent years I've not crafted as much, life has turned in a different direction but I still enjoy the time I do spend surrounded by my craft products. Hello there! 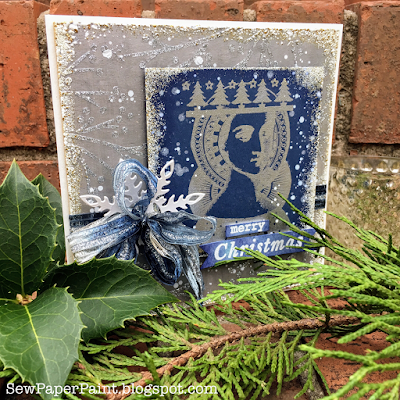 Rachel here with you today and I want to show you three ways to use your stamps to make toppers of for mixed media work. I suspect many of you will know these ways but I thought I would put it down here in case some of the ideas are new to you! So here are my three beautiful seahorses - all very different, all made using the same stamp from Chocolate Baroque. 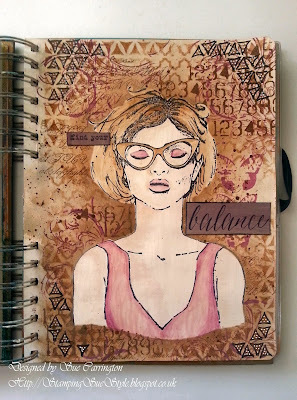 I then coloured it using distress inks and gilding wax to colour although I could have used paints! This one was made using fusible film and fibres - I did a tutorial on this technique here. 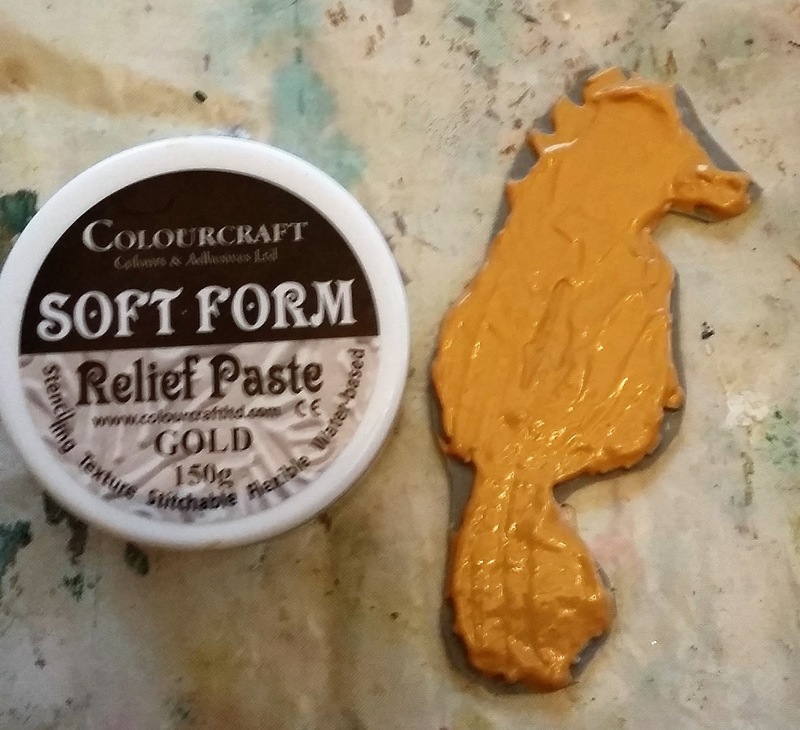 Finally I used gold relief paste and layered it onto the stamp using a palette knife and again left it to dry. 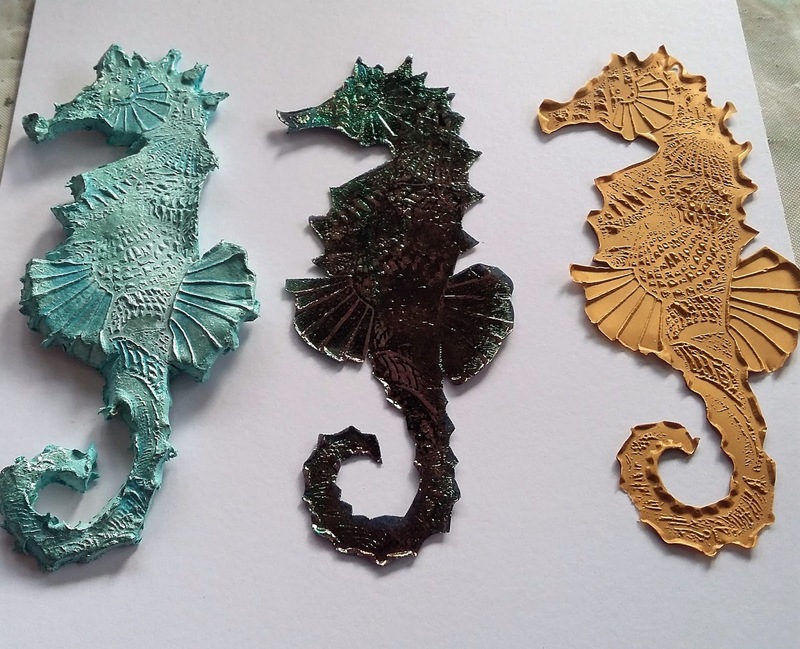 The result is a beautiful golden seahorse that will look fabulous on any card or project! This took about 36 hours to dry and is soft like a skin! I hope this has given you some inspiration on ways to use your stamps! Welcome to today's guest, Mona ! 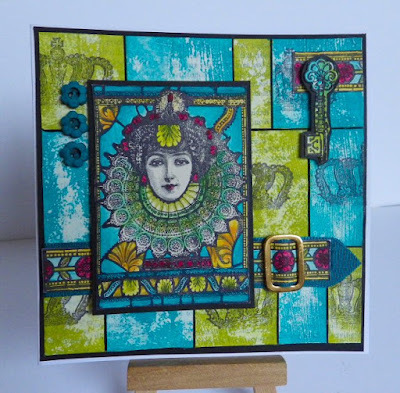 Today we are welcoming Mona who was the winner of the Metallics challenge and was therefore invited to join us for a day. We've asked Mona a few questions so we can get to know her a little better ! 1. How long have you been crafting for ? I’ve been crafting ever since childhood. 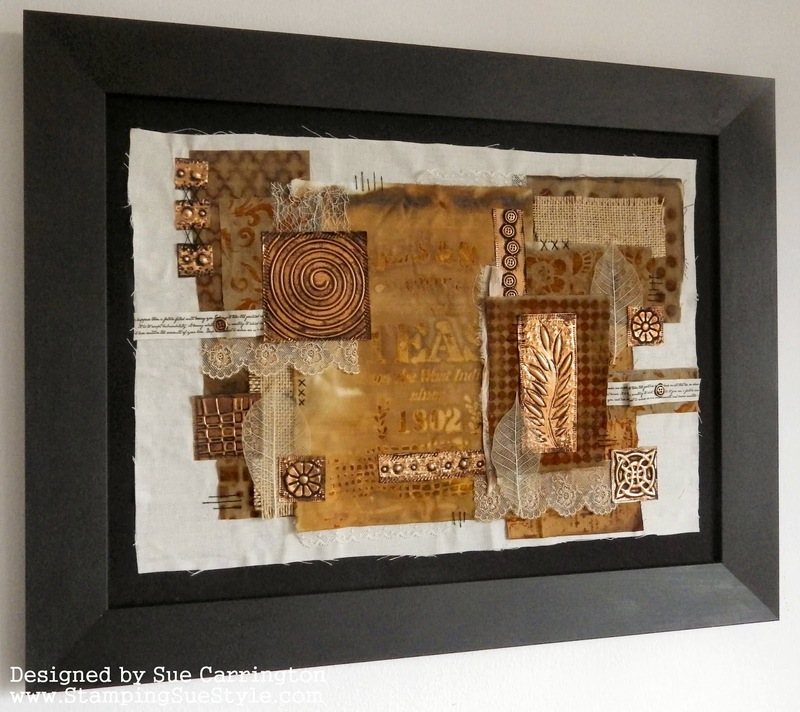 I started sharing my crafts / artwork on the world wide web via blogging nearly 10 years ago. 2. Who or what inspired you to start crafting ? My Mom and her creative ways have inspired me to explore my creative side. 3. What is your favourite technique ? 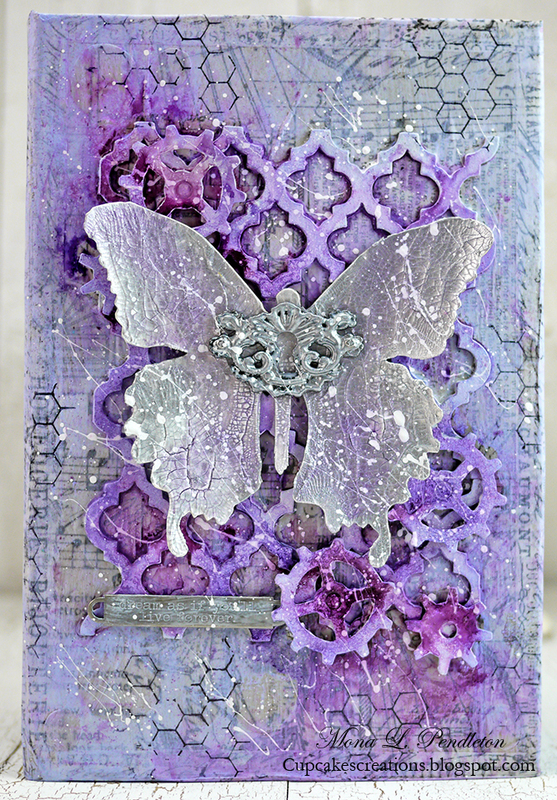 It’s really difficult to choose just one favourite technique but if I had to, I would choose embossing. 4. 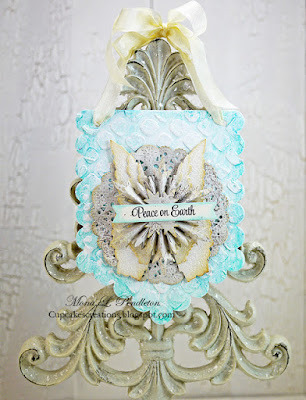 What excites you most about crafting ? 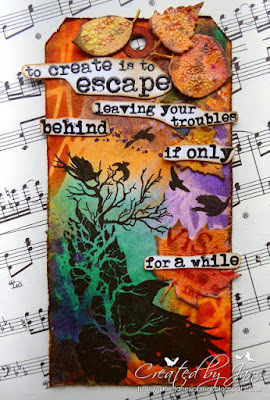 I enjoy crafting because it’s the time I take for myself to relax, be artistic and creative. 5.What is your 'go to' craft product and why? 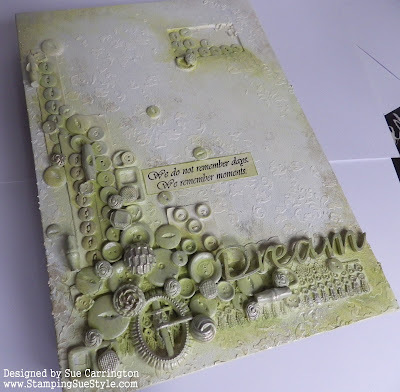 My “go to” craft product are embossing folders because of their versatility. 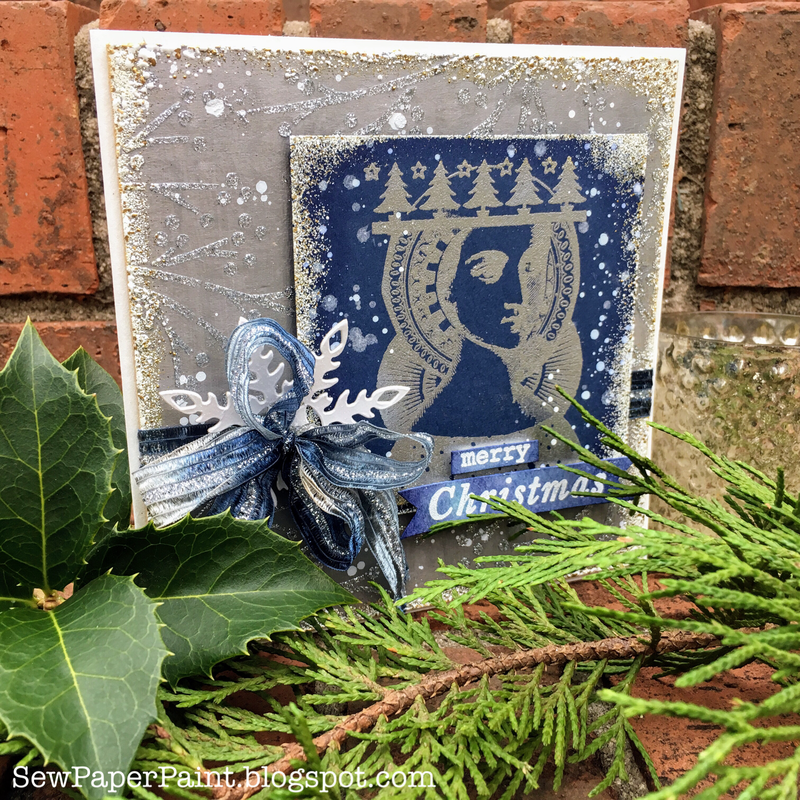 It’s easy to use them “as is”, add coloured ink prior to embossing and create a whole new look or emboss a piece of paper, apply embossing ink to the raised areas only then sprinkle on embossing powder for a completely different look. The possibilities are many. 6. Who would you most like to take a class with ? 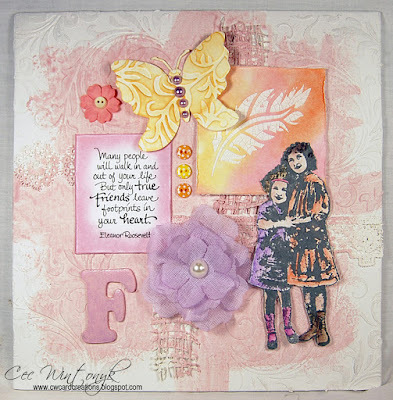 I would love to take a class with my daughter, sister or any of my crafty friends regardless the instructor because I know we would have fun no matter what! 7.What's your favourite style of crafting i.e. journalling, altered items etc..
My favourite style of crafting varies depending on what I’m in the mood to create but I always seem to return to card making because I can share them with my family, friends and coworkers. I find inspiration through blogging friends or my favourite manufacturers. Mona has also picked 3 of her favourite projects to share with us. 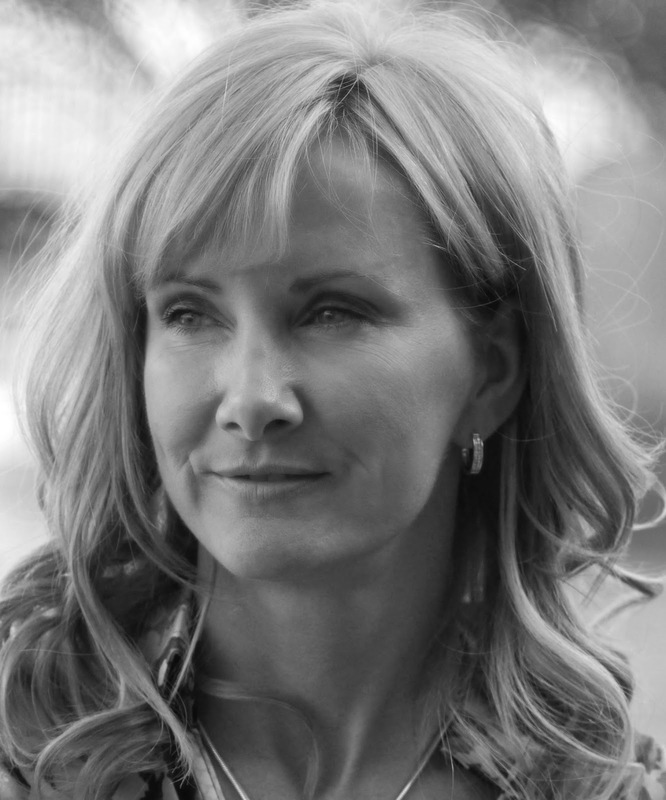 Thank you Mona for joining us today and sharing with us what motivates you and your passion for crafting ! If you would like to join us for a day you still have time to join in with the current challenge which is Pastels. 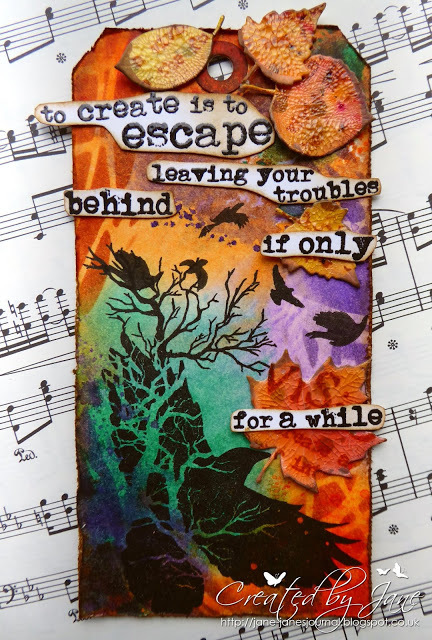 Hi Ruth here, hands up anyone who uses all their crafty stash? Thought so, I'm sure we all have items bought because they were a must have at the time, played and dabbled with and then put aside for a while...or a year..or even longer, you may even have items that you have never played with...Yes? Well this is the post to inspire you to get out those items and use them...or lose them. Some crafters are great at decluttering, me I get stuff out and then think ooh I might just need that. Well I have been trying to declutter and sort out some items to give to a local children's craft club or sell on and in the process trying to think about this months inspiration post. I try when I can to link it to the current challenge which is all about 'Pastel' and I've made a start on my Christmas cards in the process (unheard of before December). So what have I got that is pastel, well out came my box of versamagic chalk inks, a pigment ink that dries fairly quickly and I used to use on vellum, like all crafters we develop and move forward on our journey and I moved onto chalk paints and rarely reach for anything else now when I'm creating backgrounds. Lots of lovely colours in teardrop shapes which I thought I'd use to my advantage. 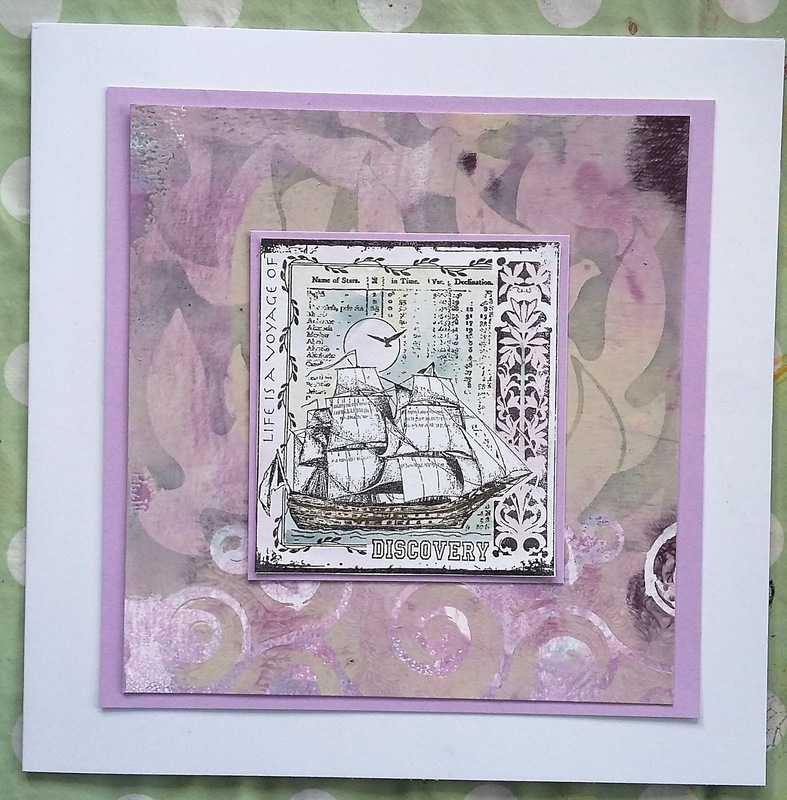 Pastel colours look great on dark backgrounds, so not worried about using all the ink (I'm trying to use stash up!) 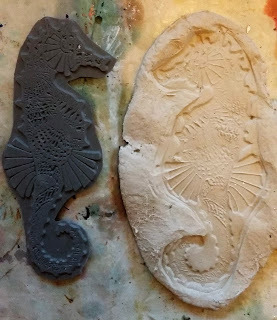 I began to stamp and cover a piece of A4 card stock, not sure where I was going but I'd started my journey. I decided to cut the card into 4 and decorate them all a little differently. Embossing paste through a new Christmas Kay Carley stencil, gold foiling, holographic embossing powder, gold paint splats and snowflake stamping. and the greeting embossed in black glint. Next quarter I just added a few die cuts in gold mirri card...another stashed item I have had since I began crafting, used to be my staple for matting onto cards. 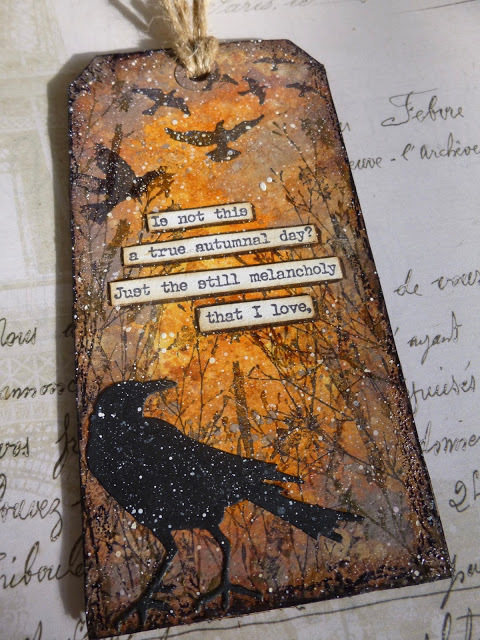 The 25 is a much used sizzix die and teamed with some forgotten black puff paint. The kraft card seems to set these off nicely. Next white card and triangles make such easy trees. Another favourite technique, layered strips to make Christmas trees. A piece die cut into a snowflake, and the chalk inks have been smooshed through a stencil. 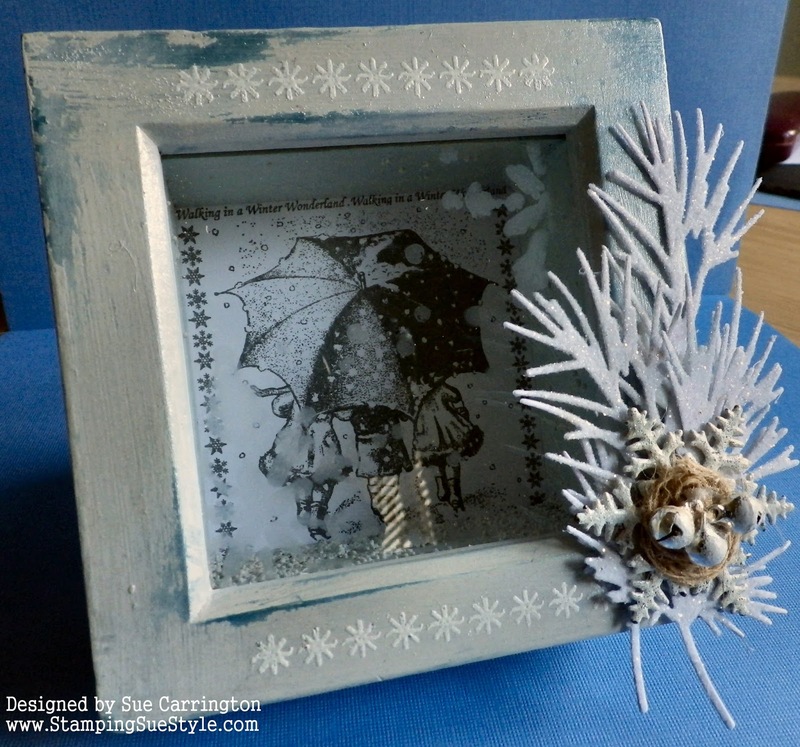 Snowflakes don't have to be white, a little crystal glitter adds that sparkle. 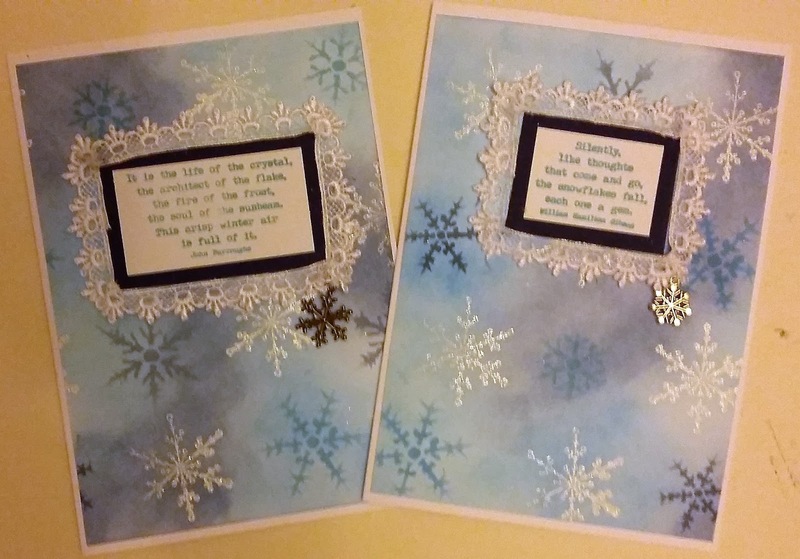 So I'm on my way with Christmas cards, I've even made another masterboard on pale cardstock, if I'm honest I prefer the dark background but these will make very pretty trees and snowflakes as well. 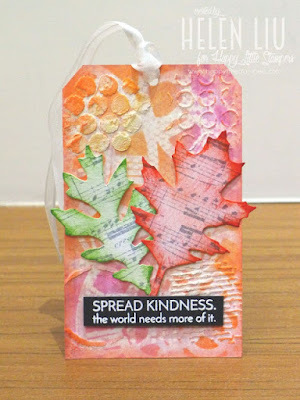 To finish, I so loved the shape of these inks that I thought they'd make great trees and have made a set of notelets, just right for early spring. 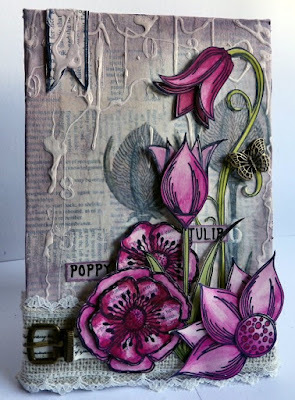 I really enjoyed using these and am determined to use them up now....after all that will leave a little space that I could fill.... maybe with those new inks I saw at the show..... yes I'm guilty as charged of having crafter's logic! Hope I've inspired you to dust off some stash and use it in different ways or say bye bye to it and send it to a well deserving home and in the process join in this month with our Pastel challenge! Congratulations Lula ! 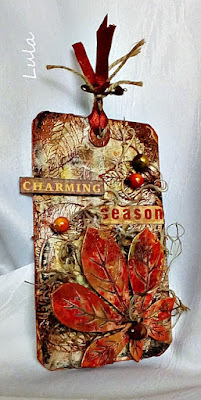 We loved the leafy theme and of course the Autumnal colours but the chipboard leaf taking centre stage is stunning ! Please email carringtons22@yahoo.co.uk for your winners badge and the details of your guest post. The current challenge is Pastels and you still have plenty of time to join us. 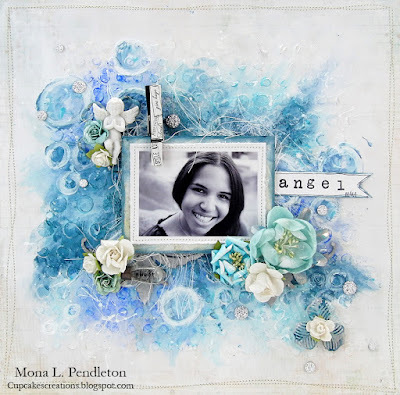 The Design Team have created some lovely inspiration for you and to get details just click on their name and you will be taken directly to their blog. I hope you will join us for this challenge.